It poured golden yellow with a nice white, long lasting head. It was very carbonated, but not annoyingly so like some saisons I've had. The aroma had a bit of ginger but I got lots and lots of spicy noble type hop aroma. The traditional saison yeast aroma was there too. Its flavor had a beautiful malt background with a bit of orange and just enough ginger and vanilla to make it interesting, but not nearly enough to get in the way of the malts. And the hops came through awesomely. 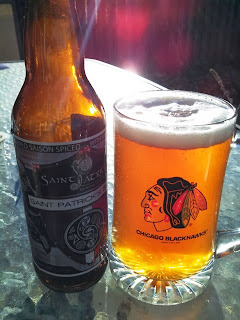 I don't usually consider a saison as a hoppy beer, but this one really was. In a good way. The saison yeast "funk" was soft and delicate, and complimented all the flavors perfectly. "I think this is the best saison I have ever had. Smooth malt background with touch of vanilla and ginger. Finishes off very hoppy. Wonderful"
Yes, I said it, and I meant it. This is the best saison I think I have ever had. 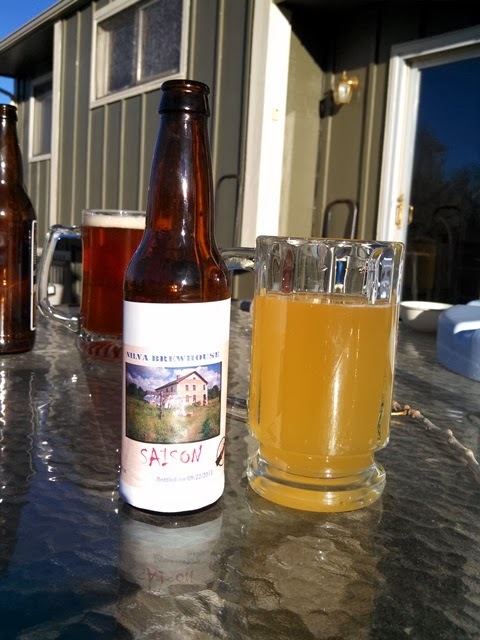 There is such a wide variety in what can be called a saison, each one can be completely different. Saison is one of those styles that sometimes I will really really like and sometimes I will think it is just ok. I think this is the first Saison that I've ever really thought was completely awesome. But, I had another Saison at the same time I had this bottle, I also tried a Saison brewed from a fellow home-brewer who calls his "brewery" Nilva Brewhouse. Nilva and I work together, and he brings me quite a few of his beers to try. His labels all have the following warning. 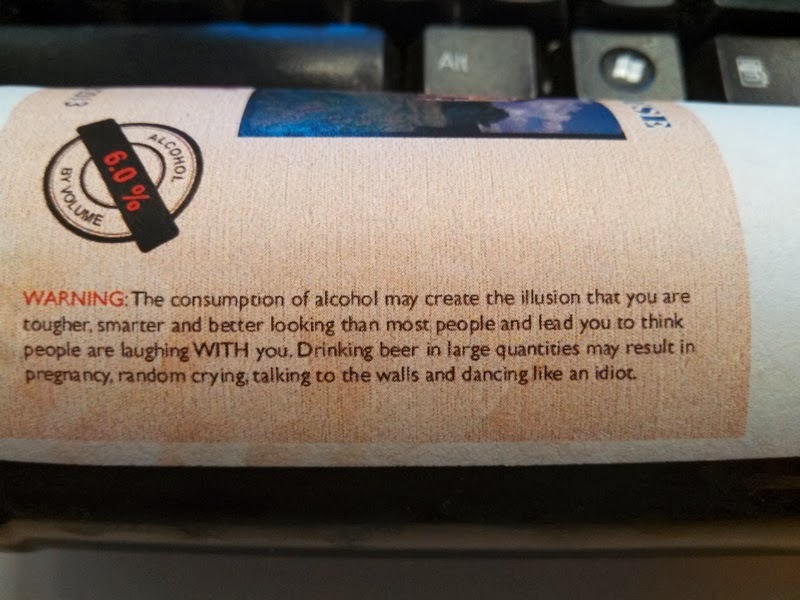 WARNING: The consumption of alcohol may create the illusion that you are tougher, smarter, and better looking than most people and lead you to think people are laughing WITH you. 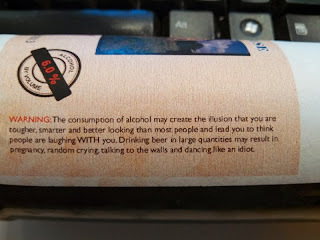 Drinking beer in large quantities may result in pregnancy, random crying, talking to walls and dancing like an idiot. The Nilva Saison sort of took me by surprise. It had a lemony, tart, almost sour flavor that I was not expecting, but I REALLY liked. The beer was effervescent and finished dry like I would want and expect in a Saison. It had that nice farmhouse "funk" from the yeast, but it was subtle and in the background of the lemony tartness. I asked him where the lemony tartness came from, and he didn't really know. Talking through the recipe, the only place it could have come from was the yeast. I don't remember exactly what strain he used, but a few of the Wyeast and White Labs Saison yeast descriptions do mention a tartness. I've just never tasted one quite like it. 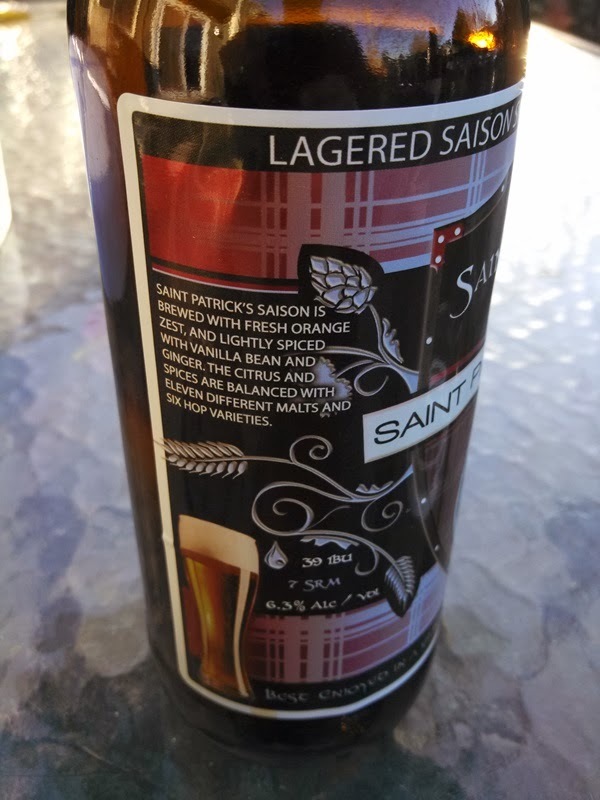 SheppyBrew Brewery has never done a Saison. It is one of those styles I keep telling myself that I need to brew, but have just never gotten around to it. I do think I'm going to have to make a point of brewing one in 2014. That is all I have for today. I think I'll try to pick up a nice local Saison to drink with Thanksgiving dinner tomorrow. Everybody have a happy one.